Over recent months, Bitcoin has increased substantially in popularity and is widely recognized as a genuine alternative to sovereign currency. This has come about in part due to various economic failures around the world such as that of Cyprus in March, where two of the nation’s banks became insolvent and bailed in up to 60% of their depositors’ funds. During that period, Bitcoin values soared to unprecedented levels, reaching an astonishing 256.6 BTC to 1 USD at one point. No doubt the rise in popularity among virtual peer to peer currencies in nations with stringent capital controls or weak economies as a means of circumventing the domestic system has been significant, and yesterday a major step was taken by senior members of Thailand’s Foreign Exchange Administration and Policy Department to rule Bitcoin illegal tender in Thailand. This occurred during a conference held yesterday by the Bank of Thailand, in which an Executive Director of Thai virtual currency exchange Bitcoin Co. Ltd was invited to give a presentation about the workings of Bitcoin, the benefits of Bitcoin, a detailed insight into the company’s operations and his view of the future of the crypto currency. This represents an outright prohibition on all activity involving Bitcoin as a method of payment and as a tradable financial instrument. Bitcoin Co. Ltd responded by suspending the trading of Bitcoin until further notice. In the lead up to this, BitCoin Co. Ltd had been engaged in the process of registering with the various Thai government departments in order to operate in a lawful manner, including dialog with the Bank of Thailand, which is the nation’s financial markets regulator. 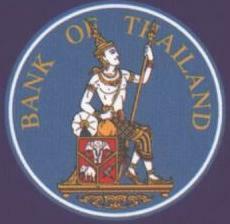 The initial response to this by the Bank of Thailand was to bypass the firm’s money exchange license as it considered Bitcoin not to be a currency, however as soon as it became recognized as a tradable currency with an actual value, the Bank of Thailand invited Bitcoin Co. Ltd to the aforementioned conference which took place yesterday to explain the ethos behind crypto currencies in detail. This resulted in the outright ban by the Thai authorities on all uses of Bitcoin among its citizens and in its jurisdiction. Other nations such as Argentina have experienced dramatic increases in the usage of Bitcoin as a result of lack of confidence in the domestic system, plus strict capital controls imposed by governments which not only restrict the use of domestic currency and the use of foreign currency, but also pose risks to citizens of such nations due to extreme inflation and economic uncertainty. In the case of Thailand’s outright ban, the Bank of Thailand yesterday advised Bitcoin Co. Ltd that it would review the situation but did not provide a timescale. The future, it seems, hangs in the balance. What I meant is that I believe that in this case the interest for BTC will have fade long before since for everyone it’s much more interesting to sell the BTC than to use it to buy stuff. There are reports that suggest that the original report of bitcoin being banned in Thailand isnt entirely true. Can you get an answer or comment from a thai Ministry of Finance or Bank of Thailand official? But it is interesting that the opinion of an official can still have a temporary de-facto effect of temporarily suspending operations. Similar to the visa situation when a new visa law is passed, or [even more common] different consulates/embassy’s interpreting the law differently, or even making up their own rule as to which visas they will/will not issue or what is considered “acceptable” documentation to meet a requirement.